I figured that it was time for an update…. A lot has happened since I first set up this website in 2013, and lets face it, I’m not exactly one for constantly refreshing the information that you can read here. As many of you know, after a move from Cool FM in June 2015, I was offered a position on Q Radio Belfast with an amazing team of talented individuals. I was welcomed back ‘home’ as my first position was on Q radio 102.9. I presented various shows and roadshows for the new Q representing the company at many events too. Then March 2017 arrived when I found myself on a plane to Abu Dhabi with a couple of rather full suitcases and an adventure ahead. I continued to present the ‘After Dark’ slot at Q Radio until new studios were unveiled which forced a need for a presenter to be live in Belfast, then I hosted an over night slot whilst also presenting on Radio 2 UAE. I return to Northern Ireland as often as I can to host shows throughout the province, enjoying my time and the banter that NI is famous for! If you’re interested – here’s the back story……. A difficult uni assignment led me to radio. Having Cool on 24/7 whilst sitting at a drawing board not only helped me through uni, but gave me an idea for a future career. After a summer radio course, experience in hospital and university radio stations and many years pubbing and clubbing as a DJ, I picked up a breakfast shift in the NW of the province. Juggling all with a full time teaching post was exhausting, so I resigned and put all of my ‘eggs in one basket’. 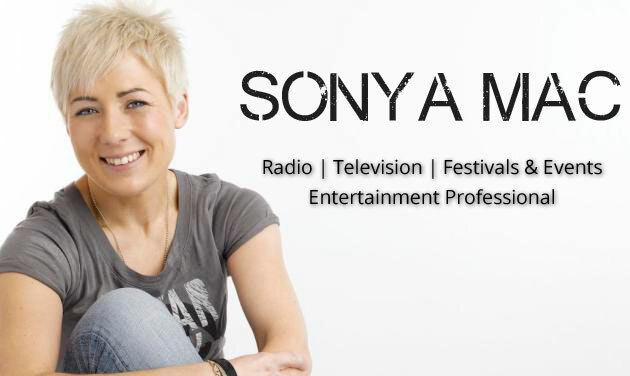 In November 2001 I moved to my dream job in the ultimate radio station – Cool FM! My first show 1-5pm, was a mixture of excitement and nerves. I can still remember my shaky voice and the messages of support from the listeners. Since then I have worked nearly every shift, except Breakfast – I think that the management know my aversion to mornings!! I currently present the Monday – Thursday evenings 8-midnight and Sunday night 10pm- 1am. This show also incorporates the ‘Cool Clinic’ where Sean from the Yeha Project joins me as we discuss listeners issues and problems. Working 4 hours a day is a source of humour for many of my friends and family, but I am kept busy by Ida my boxer, my passion for anything fast and now my new love – running. The challenge began one night with the Roadsafe crew. As they say drink in, wit out! I agreed to complete the NYC marathon and I believed at this point that crawling would be a given! I didn’t realise the commitment and intense training that would have to be done to complete the 26.2 mile route. I finished and our team raised our target £20,000 for “Cool FM’s Cash for Kids” I was bitten by the bug and signed up almost immediately for Paris and Prague in Spring 2011- Unfortunately just 3 weeks before the Paris marathon I was literally bitten- by a dog, whilst I was out on a training run. This put me off my feet and out of running for a year. I gained a place for the London marathon in 2012 and again raised over £3000 for Cash for Kids. NYC marathon 2012 became a massive charity push for Action Cancer after the charity approached me and asked me to run for their cause. Another 9 runners joined my personal team and we organized many fund raising activities over the summer of 2012 and up to the November event. We reached our target of £30,000 for the charity. 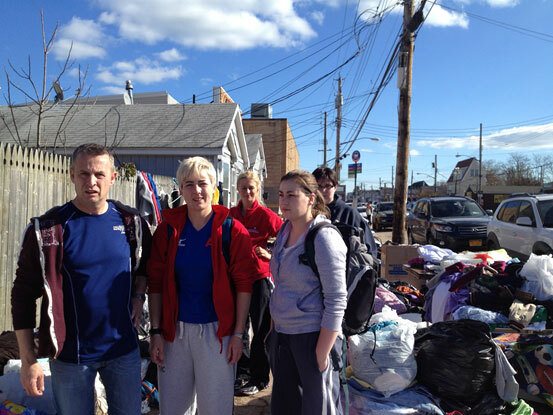 Unfortunately the ‘Frankenstorm’ prevented us from running the NYC course, so instead we went to Staten Island help those affected by the hurricane. I regularly tour the province with the Roadsafe team championing the dangers of excessive speed to those approaching driving age. Cars are a passion of mine. I have a vehicle that I drive on a day to day basis, but also bring out the soft –top when the weather is lovely. I have a Fireblade, which unfortunately hasn’t had much road use recently – but I can’t bring myself to sell it!! 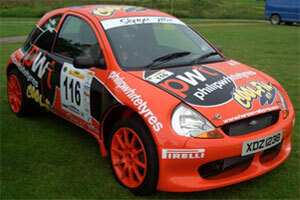 I am now a retired rally driver after earning a third in class over all in the Northern Ireland championship in 2008. I am up for any driving challenge that anyone cares to throw at me!! Even on holiday there is little chance of me sitting still for too long – I love to get away skiing and try to do so at least twice a year. Such is my passion for skiing that I have even been known to try to carve out a piste in Northern Ireland during any snow-fall! On the odd occasion that I get time to relax and chill I love to catch up on all the soaps.